Daniel O’Neill was on a work trip to Atlanta when he suffered a bout of pancreatitis so severe that it forced him onto the floor, unable to move. After he was rushed to an Atlanta hospital, doctors determined that four liters of acid enzyme had collected in Daniel’s abdomen and dissolved the middle of his pancreas. Fortunately, Daniel had been seeing Virginia Mason’s Richard Kozarek, MD, in Seattle, a world-renowned physician who knew exactly what to do. Dr. Kozarek talked to the Atlanta doctors by phone and recommended they insert small tubes, called stents, into Daniel’s pancreas to help it drain. When the Atlanta team deemed this too risky, Daniel was flown to Seattle so Dr. Kozarek could oversee the procedure himself. 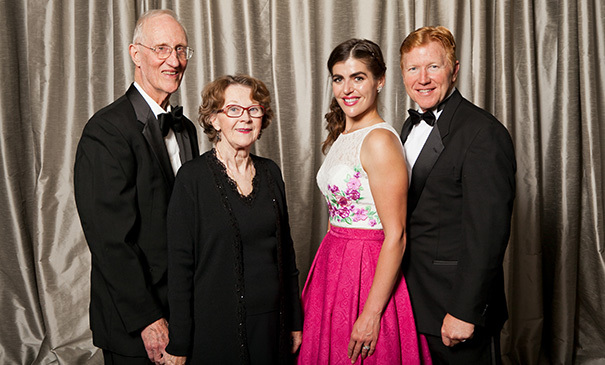 To show their gratitude, Daniel and his wife have traveled to Seattle from their home in Sisters, Ore., to attend Virginia Mason’s Dreambuilders’ Ball every year since 2012. They come with other members of their family, and support the hospital by contributing at the event.